Asana is great as a task management tool and we love it here at Weekdone. Unfortunately one of the biggest gripes about Asana is the missing reporting functionality. Weekdone fixes that. Update: Our new special Asana reporting and dashboard product was just launched. Read more here or see weekdone.com/asana to try it out. Using Asana? Got something done and closed a task? There’s no need anymore to manually copy and paste accomplished tasks to Weekdone, the weekly team status reports service. 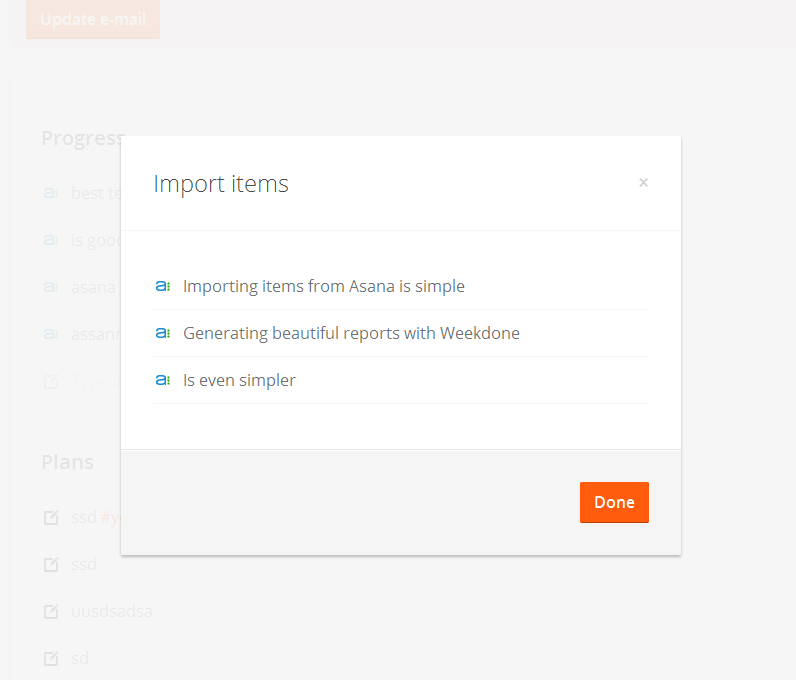 You can now import those issues from Asana into your weekly report. 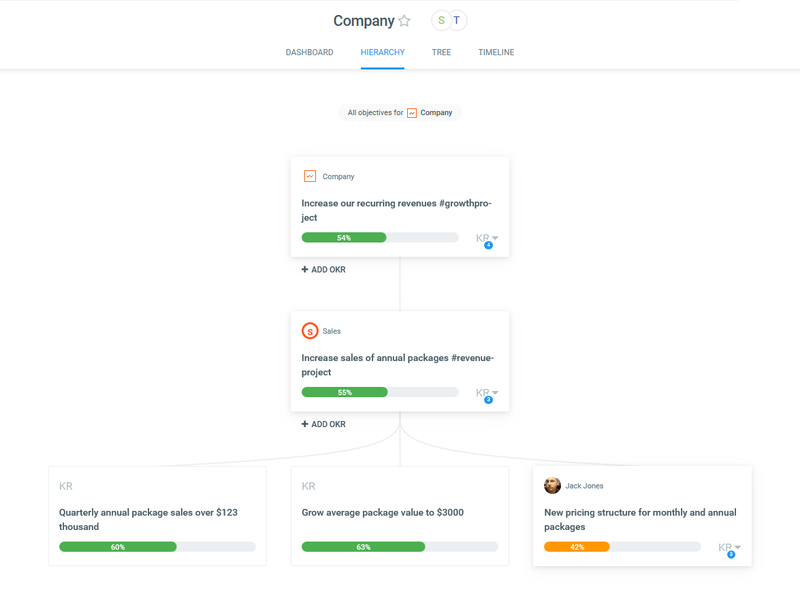 The functionality is similar to our recently announced Atlassian JIRA import. Using our items import you can generate automatic or semi-automatic reports of what your team has accomplished in a week. For now, we import just closed Asana tasks into your Progress category. Support for other status types and to which report categories to import them is on the way. Importing open tasks into Plans is coming up soon. manual: you'll have an "Import" button next to your Progress section. Clicking it opens a modal window where you see your Asana resolved and closed issues. Hovering over any of them shows an "Add as progress" button, clicking it copies the item to your Weekdone report. 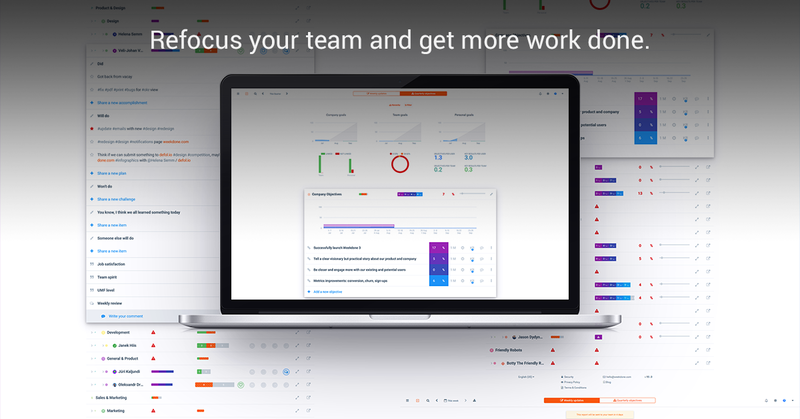 To get started, go to your Weekdone "Settings -> Import" page (if needed, you can register for a free trial here, the service is even free forever for teams of up to 3 people) or click on your first page notification Asana connect button. In the form, enter your Asana API key. You can also choose which workspaces to import items from. If you want to import items automatically as described above, check the "Import issues automatically" checkbox. Click Connect and Save. The question we have for you is, what would your dream Asana reporting solution look like? Would it be just a list of tasks? Or a dashboard of graphs and numbers? We appreciate your feedback here at Weekdone as we improve it. Update: version 2.0 of Asana reporting dashboard was launched, read more here or try it out. Remember to follow us on Twitter, Google+ and Facebook for all about asana, report, tasks and more!